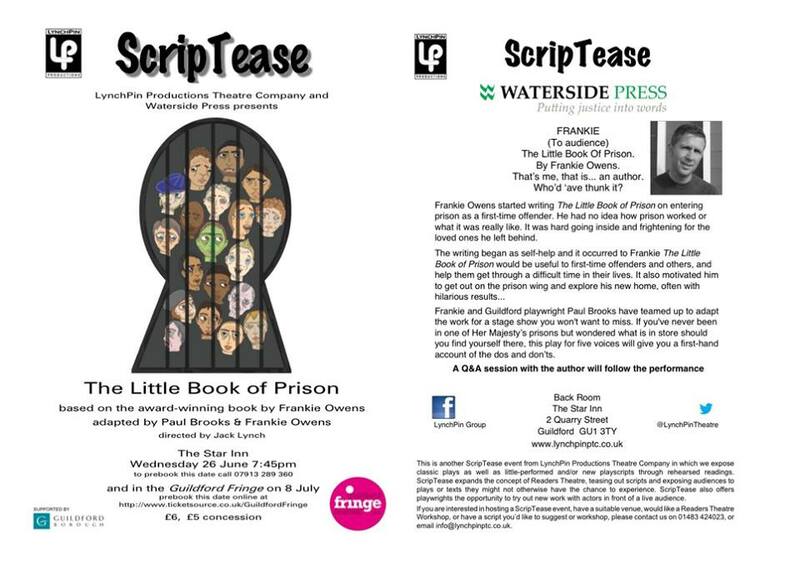 I have a new play reading on at a local Fringe Theatre venue in a Guildford pub. 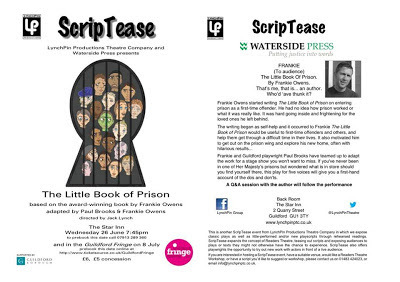 The play is an adaptation of the award-winning The Little Book of Prison by Frankie Owens, and it had its first outing earlier in the week, with author Frankie in the five-strong cast. I'm currently in the middle of rewrites but it's been a very rewarding process so far. For a start, I've been under the gun in my professional life with four weeks of 12-hour days at work, so I've had to really discipline myself to get this written during my commuting time over the past six weeks. And this is something I intend to continue. It's also been a rewarding process because I've taken source material that was very good in the first place, added something of myself into it, and made something very strong. And now myself and the book's author are collaborating on the rewrites and I think we'll end up with something even stronger.